Breaking the code: Sam Burgess. 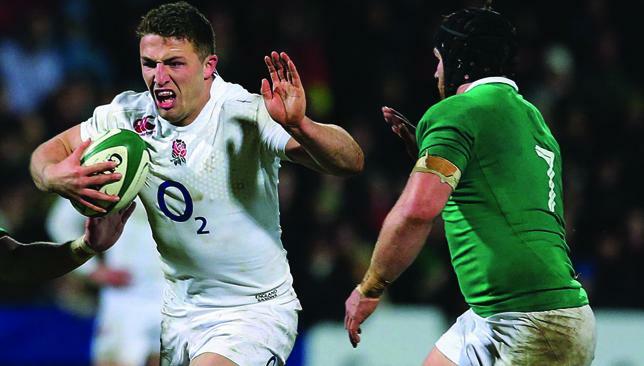 Cross-code convert Sam Burgess is being pushed into a midfield role by England to cover for the absence of powerhouse Manu Tuilagi, according to former wing Mark Cueto. With final World Cup selection just over a month away, debate is still raging over the 26-year-old’s best position for the national team. Coach Stuart Lancaster insists he will only select the former rugby league star at centre despite his best displays for club Bath coming from blindside flanker. Cueto believes England are trying to compensate for the loss of the explosive Tuilagi, whose conviction back in May on three charges of assault cost him his place at the tournament. “You have to argue his best form for Bath has been in the back row but Stuart Lancaster has been forthright in saying he is looking at him as a centre – but maybe his form for Bath at centre hasn’t been good enough to warrant an international place,” the recently-retired Sale Sharks stalwart Cueto said. “Manu Tuilagi was a real linebreaker and physical presence in that back line and maybe if Sam isn’t the man we don’t really have anyone else of that physical ability. “We have a lot of playmakers, whether it is a Jonathan Joseph or someone like that, but they are looking for a real, big, physical presence in that midfield and Sam would fit that down to a tee. “That is probably the reason they are pushing him there, as well as his ability with handling and passing. “It is a tough decision. The guy has only been in rugby union six months and it is a massive ask. “You could argue this World Cup has probably come six months too early for him. There are no doubts about his credentials as a rugby player but it is just with those fine adjustments from league to union he could probably do with another six months under his belt. Lancaster’s other major selection decision comes at fly-half, where Owen Farrell’s serious knee injury ruled him out of the Six Nations and allowed George Ford to stake a claim for a World Cup starting spot. Cueto, speaking at a World Cup trophy tour event yesterday, admits the pair are hard to separate. 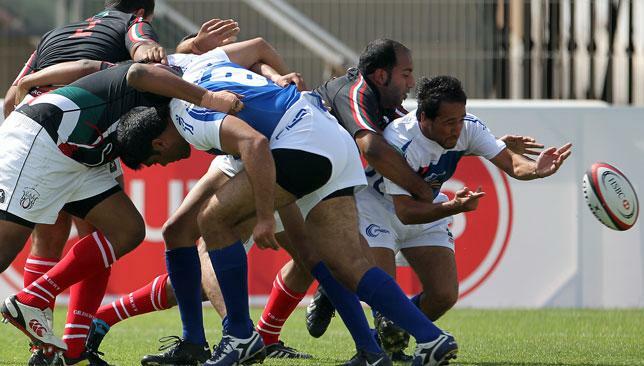 “Fly-half is a real headache because they are very different in the way they play,” he added. “Owen is very defence-orientated; he is aggressive, strong in tackles and if there is a penalty in the dying seconds he is your man to take it. “George is more of an attacking fly-half who looks to get the backline into the game a little bit more. 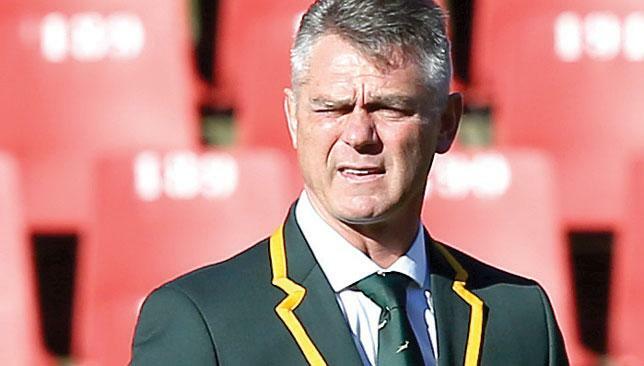 Coach Heyneke Meyer believes South Africa can beat anyone at the World Cup despite suffering a second successive Rugby Championship loss. Richie McCaw caught the Springboks napping at a line-out to score a late try and give New Zealand a come-from-behind 27-20 victory before a sell-out 63,000 Ellis Park crowd in Johannesburg. Defeat for the Springboks came one week after they conceded an even later try to fall 24-20 against Australia in Brisbane. South Africa host Argentina on August 8 in their final southern hemisphere championship fixture and play a Test in Buenos Aires a week later before the mid-September World Cup kick-off in England. Meyer, lacking several likely first-choices because of injuries, exuded confidence even though his side suffered a sixth defeat in seven matches against the All Blacks. “The mental strength and attitude of the squad bodes well for the World Cup,” he said. “The guys know they can beat anyone. We came within inches of beating the All Blacks and the Wallabies. Meyer said injuries disrupted his plans against world champions New Zealand. “I had to use the bench much earlier than we wanted because of injuries to Jannie du Plessis, Vincent Koch, Lood de Jager and Francois Louw. Both our starting tighthead prop (Du Plessis) and his replacement (Koch) had to go off at times when we were scrumming well,” he said.